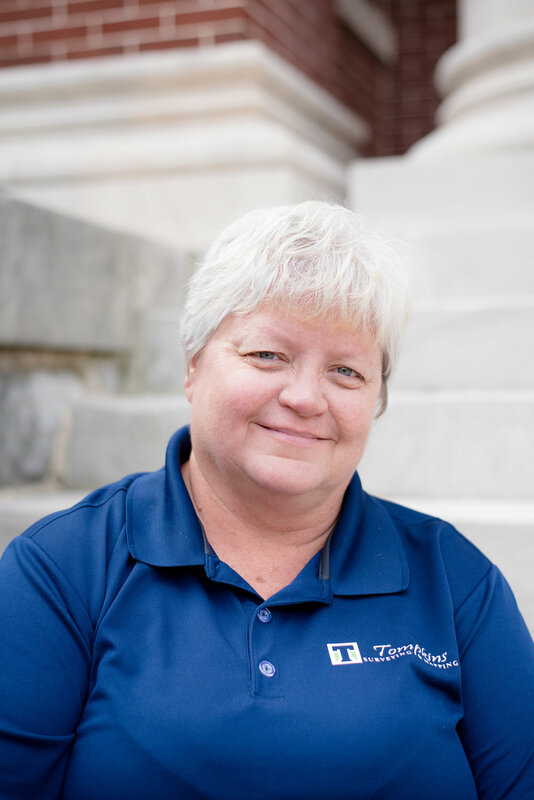 Tompkins Surveying and Mapping is a family-owned professional surveying firm offering a full range of services for public, private, commercial, residential, government and industrial sectors. We use the latest technologies and techniques to provide our clients with the best possible value. Our philosophy is to provide top-notch services safely, effectively and with a primary focus on the client's needs. Honest, hard work is our touchstone. Started in 2014, our top priority is providing the best possible service utilizing clear communication and deep expertise. We have served clients across numerous industries and our work spans pipeline surveys, route surveys and industrial construction surveys. Currently we have one office in Cartersville, Ga., and service Georgia, Alabama and Kentucky. We offer clients a free consultation. Show us what your plans are, and we can talk about solutions. Call us or email us. 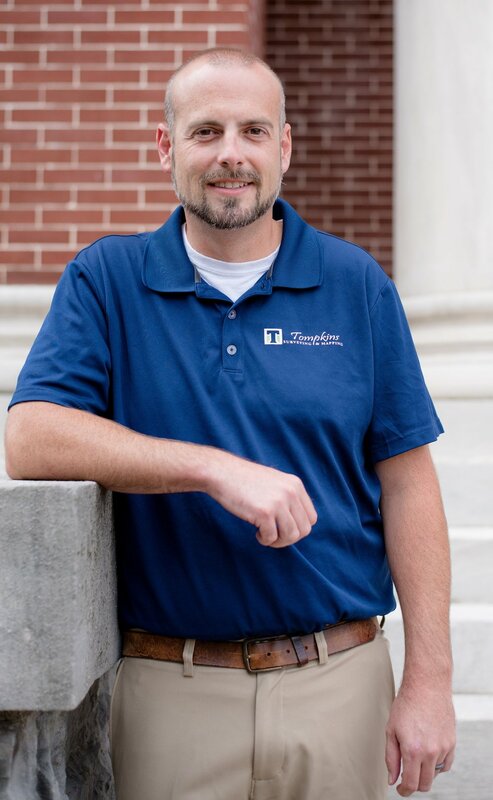 Mr. Tompkins started working construction in high school and has since gained over 20 years of construction experience and more than 15 years in surveying. He worked his way up through the ranks and is now a licensed professional land surveyor. 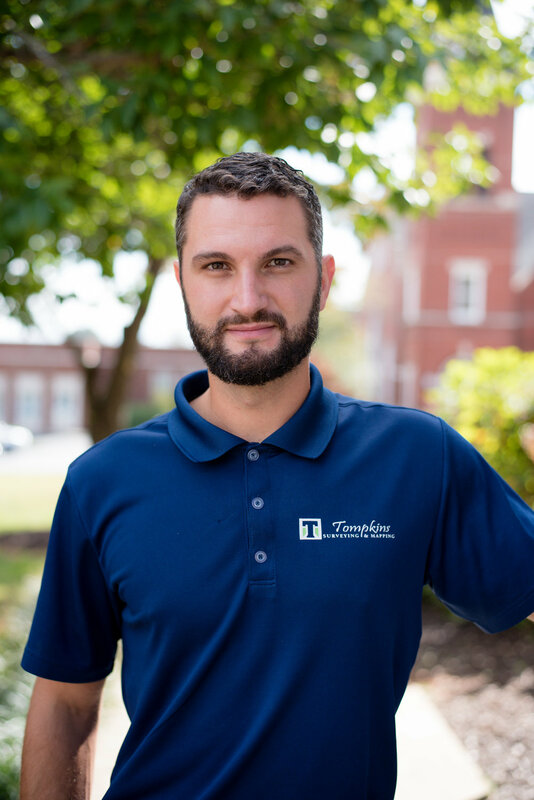 Mr. Tompkins has worked on prominent projects across the East Coast with award-winning engineering and surveying firms. His experience and customer-focused attitude has ensured that clients enjoy successful projects from start to finish. Mr. Armstrong is a civil engineer who graduated from Kennesaw State University with his bachelor’s in 2016. He specializes in autocad, technical instrumentation and field surveying and mapping. Mr. Moon graduated Southern Polytechnic State University in December of 2009 with a B.S. for Surveying and Mapping. He also brings many years of experience having worked on the new Falcons stadium, ALTA/NSPS Land Title Surveys throughout Atlanta and more recently working on pipeline projects throughout the southeast. Southern Polytechnic State University Bachelor of Science. Georgia Northwestern Technical College, Computer Networking Specialist. An experienced project manager, Mr. Wood has a proven track record for excellence in the Land Surveying/civil engineering industry. Skilled in AutoCAD, Land Development, Boundary, Highways, and Power Transmission. Strong program and project management expertise. Mr. Falconbury provides customers with exemplary residential, commercial or industrial land surveys. Locating property corners and lines for disputes and building purposes. Researching courthouse databases and records. Working closely with construction crews and other professionals to accomplish projects in a timely manner. Establishing an effective rapport with clients is important to ensure that we have the most complete details to deliver precise work. Dalton State College, Bachelor of Arts. Mrs. Gilbert's friendly customer-focused experience is instrumental in guiding clients through the details. Her extraordinary organizational skills hold our office together and help ensure the timely and efficient completion of the job. We hold our company to a higher standard both in terms of integrity and performance. We expect our professionals to treat our customers as they would their own family. And to safeguard our clients, we drug-test everyone we hire and do a thorough background check. What sets us apart? More than a decade of work to increase the accuracy, efficiency and productivity of surveying for the field and the office. This improved process translates into a better product and more competitive prices. Our quality service is our product. We hire people we trust and train them to be as efficient, accurate and professional as we can to meet your needs. You are our top priority. We are continually improving as we re-evaluate and reinvent ourselves to stay on the cutting edge of technology and methodology.